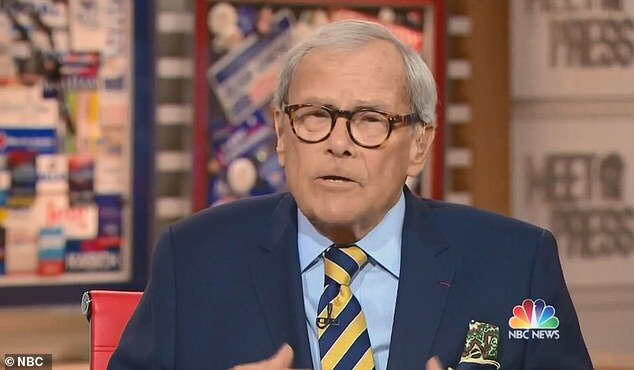 Veteran newsman Tom Brokaw has been forced to apologize for saying that 'Hispanics should work harder at assimilation' and claiming Republicans 'fear having brown grandbabies'. 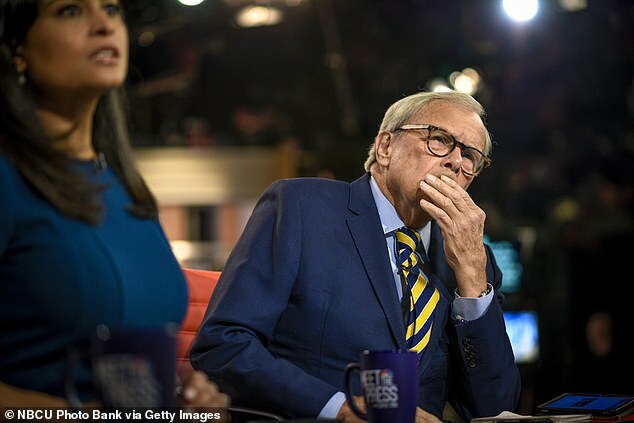 Brokaw made the controversial comments during a roundtable on the NBC show discussion on the government shutdown and President Donald Trump's demand for funding a wall along the U.S.-Mexico border. 'The fact is, on the Republican side, a lot of people see the rise of an extraordinary, important, new constituent in American politics, Hispanics, who will come here and all be Democrats. 'It's the intermarriage that is going on and the cultures that are conflicting with each other,' Brokaw continued. 'I also happen to believe that the Hispanics should work harder at assimilation. That's one of the things I've been saying for a long time. But later in the broadcast White House correspondent Yamiche Alcindor for PBS NewsHour addressed Brokaw's remarks directly. 'I would just say that we also need to adjust what we think of as America,' Alcindor said. Brokaw's apology came in a series of rambling and misspelled Twitter-posts on Sunday evening. 'I feel terrible a part of my comments on Hispanics offended some members of that proud culture,' he wrote. 'Finally, i am sorry I failed to convey my strong belief that diversity - dynamic and inclusive is what makes America [sic],' he continued. NBC have stated they have 'no comment' to make on Brokaw's remarks.